LOUISVILLE, Ky. - Notes via the PGA of America. 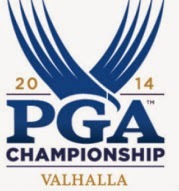 The scoring average for the third round was 69.57, easily the lowest single round in PGA Championship history. 18 players are within six shots of the lead heading into the final round. Brooks Koepka had nine birdies today, matching Lee Westwood (Round 1) for the most in any single round this week. Bernd Wiesberger and Hunter Mahan shot 65 in the third round to match the low score of the Championship--Kevin Chappell, Ryan Palmer, Lee Westwood in Round 1; Jason Day in Round 2. Rickie Fowler has played 27 straight holes without a bogey. Rory McIlroy one-putted nine of his last 12 holes on Saturday. Kentuckian Kenny Perry turns 54 today; Perry shot his second consecutive 69 Saturday to get to 3-under par. 55 of the 74 players are under par through three rounds. Thorbjorn Olesen of Denmark made five straight birdies today, from holes 7-11. There were 37 scores in the 60s in the third round, compared to 29 in the second round and 34 in the first round. At the par-4 fourth hole, the PGA of America moved up the tees 70 yards from where they were on Friday. That reduction in yardage ramped up the excitement, as seven players made eagle 2 on the 292-yard hole. Among the seven were Kentuckians J.B. Holmes and Kenny Perry.